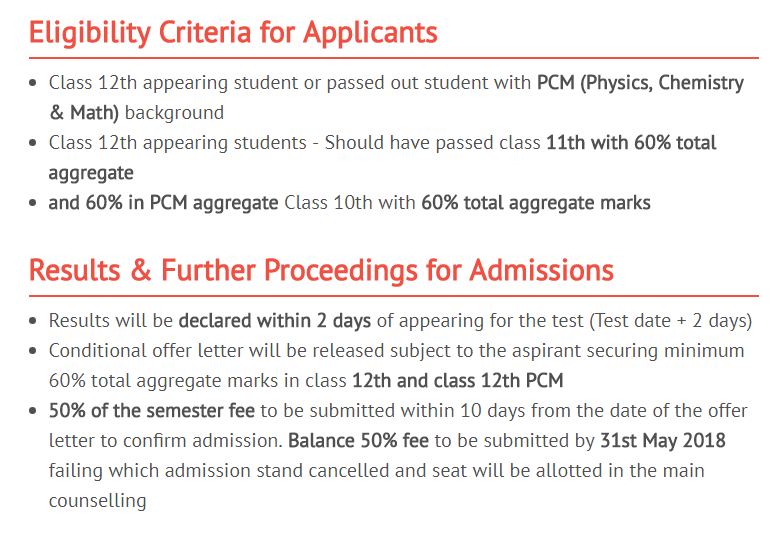 The UPESEAT 2019 Eligibility criteria comprises a set of rules and criteria which must be fulfilled by an aspirant who wish to get admission into the Undergraduate courses of Engineering at the UPES must fulfil the criteria led down by the Examination Authority. The Eligibility criteria consist the details of Age limit, Academic qualification along with other conditions. If the criteria is not fulfilled by the candidate, it will lead to the rejection of application made by the candidate. Hence it is essential for all the candidates to check the criteria and the rules before applying for the Examination. The UPES Eligibility Criteria have been described below for the aspirant willing to take admission in UPES. 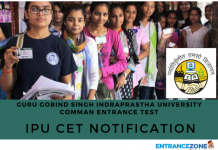 UPES ADMISSIONS 2019 NOW OPEN – Apply Here. There are two mediums of UPESEAT Examination offered by Institute i.e, Exam & Non-Exam.The Eligibility criteria for both the mediums is different. Candidates who have qualified JEE Main 2019 will not be required to qualify UPESEAT 2019. This is a non-exam path to get admission into the University. 20% seats can be filled by this method. Candidates are required to secure a minimum of 80% aggregate marks in class 10th & 12th. Candidates are required to secure minimum 80% of aggregate marks in Physics, Chemistry, and Mathematics in 12th class. Minimum 80% Marks in 12th or equivalent i.e Higher and Secondary Higher. And 80% aggregate in PCM ( Physics, Chemistry, Mathematics). 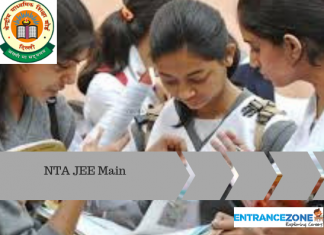 (2) JEE Mains cut-off, to be announced after JEE Exams 2019. 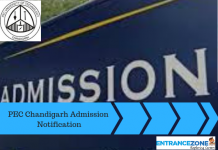 Candidate must have scored an aggregate of at least 60% of total marks in Higher Secondary Qualifying Examination conducted by ICSE/CBSE or any state boards or any other recognised Education Board. Candidates are required to score a minimum of 60% in physics, chemistry, and mathematics in the qualifying exam. Candidates should qualify JEE Main Cutoff prescribed by UPES. Age Limit: Candidates born on or after 1 October 1995, are eligible to appear for UPESEAT 2019. 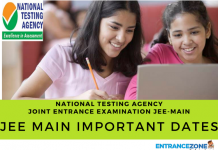 The Date Of Birth mentioned in the Senior Secondary Examination Certificate will be considered valid. Candidates who have secured 80% marks in class 10 and 85% marks (PCM) in class 12 will be eligible. 50% waiver will be provided on 10% seats on the tuition fee in each program in first year of ICSE, CBSE or State Board passed out students. If the candidates secures SGPA 8 out of 10, Scholarships will be renewed. Candidates must have secured 80% marks in Class 10 and 12 with subjects PCM. Total 150 toppers of Uttarakhand will be considered for the scholarships. 1 seat per program would be Merit order allotment. 15% reservation of the seats will be reserved for the Uttarakhand Domicile students. Candidates must present (Permanent Residence Certificate) to avail the scholarship under this scheme. 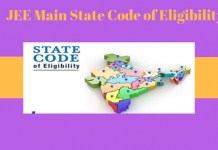 Candidates can also avail the scholarship either through Uttarakhand Board Merit or Uttarakhand Domicile Category. UPESEAT 2019 Eligibility Criteria set of rules and criteria must be fulfilled by an aspirant to be eligible for UPES Early Entrance Exams. Refer link of application form and Result are here. How much weightage do they give to JEE MAIN score?